Here’s a closer look at the Bible stories that will be taught during LifeWay’s VBS 2019: In the Wild. Each true story recounts a real life encounter with Jesus. These “snap shots” of Jesus reveal His identity to us and help us to discover that Jesus is who He says He is—the Messiah, the Son of God, and that by believing we might have life in His name. When Jesus was twelve years old, He traveled with His family to Jerusalem for the Passover Festival. After the celebration Mary and Joseph headed back to Nazareth. After traveling a full day they realized Jesus was not with them. They hurried back to Jerusalem and finally, on the third day, Mary and Joseph found Jesus in the temple. Jesus was listening to the teachers and asking questions. Everyone was amazed at how much Jesus understood at such a young age. John helped people get ready for Jesus, God’s promised Messiah. John told people to repent of their sins and be baptized. One day Jesus came to the river and John told the people Jesus was the One he had been speaking about. Jesus asked John to baptize Him to follow God’s plan. After Jesus was baptized, an amazing thing happened. The Holy Spirit appeared to Jesus in the form of a dove and God declared that Jesus is indeed His Son! After a long day teaching near the Sea of Galilee, Jesus sent the disciples ahead of Him in a boat. Late at night there was a storm and the waves beat against the boat. The disciples saw Jesus walking to them on top of the water, and they were frightened. After Jesus identified Himself, Peter asked to come to Him on the water. Jesus said, “Come.” As Peter walked to Jesus, he became afraid and began to sink. Peter called out for Jesus to save him. Jesus reached out, caught hold of Peter, and got back in the boat with him. The wind immediately stopped, and the disciples proclaimed that Jesus really is the Son of God! On the third day after Jesus had died on a cross and been buried, Mary Magdalene went to the tomb. As she approached the tomb, she saw that the stone had been rolled away. Mary went and told Peter and John who came to see for themselves. After Peter and John left, Mary looked into the tomb. She saw two angels. They asked why she was crying. A man standing nearby asked who she was looking for. Mary thought the man was the gardener, but when He said her name she recognized His voice. It was Jesus! He sent Mary to share the amazing news with His disciples. Jesus is alive! Two men were walking toward the village of Emmaus talking about everything that had happened during the last week. Jesus joined them, but they did not recognize Him. The men began explaining everything that had happened to Jesus and that He was a great Prophet. Jesus began telling them about Himself using Scripture to explain why all the things had happened. When they arrived in Emmaus, Jesus stayed and ate with them. As Jesus tore the bread and gave pieces to the men, they recognized Him. Jesus immediately disappeared from their sight. The men returned to Jerusalem and told the disciples about their amazing encounter with the risen Jesus. I’m pumped about this theme! You know if y’all wanted to send a jump start kit my way I wouldn’t complain either! LOVE This theme! Picturing a butterfly room. These are all simple stories. Easy to tell. I believe these stories were I our VBS not too long ago. But if your as old as I am and have taught as long as I have you will find the stories come back around. That is because we have different audience. Maybe some of us have heard but not all and we always have those who are new. And to me each time I tell it I get something different out of it and hopefully as you hear it over and over again it will speak to you in different way. God’s word does not change but lives can. These are all simple stories. Easy to tell. I believe these stories were in our VBS not too long ago. But if your as old as I am and have taught as long as I have you will find the stories come back around. That is because we have different audience. Maybe some of us have heard but not all and we always have those who are new. And to me each time I tell it I get something different out of it and hopefully as you hear it over and over again it will speak to you in different way. God’s word does not change but lives can. My mind is already thinking about ways to use this fantastic theme! For the little ones or decorations, I have several old fashioned stick horses (from VBS theme many, many, many moons ago) that I will try to make them into ZEBRAS some way. Also, my son and daughter in law are very successful in the re-population of various kinds of butterflies that I might use as an interest center. They are school teachers and have used the various stages of butterflies in their classrooms. My list of ideas is already exploding. Such great fun to be able to use God’s magnificent creation to incorporate with the 2019 Bible stories. As we are in the process of finally getting tile floors installed from Hurricane Harvey damage, I came across lots of various theme materials I’ve used over the years and am thrilled that I can recycle everything I’ve saved (sure saves money!!). Thanks to our SUPER FANTASTIC LifeWay VBS planners that pray for and listen to God’s direction in planning for each year’s Bible study and theme. Was trying to figure out what the Bible verse will be for 2019. For 2018, 2 Peter 1:3 His divine power has given us everything required for life and godliness through the knowledge of him who called us by his own glory and goodness. But we taught: God has given us everything we need. Will the verse for 2019 be shortened as well? You must have been teaching preschoolers! We offer the full text verse in both CSB and KJV translations, and also a paraphrase suitable for a preschooler’s level of understanding. We will offer all 3 of these options again for VBS 2019. Thank you for responding! Lol! YES, 5 yr olds! I was in heaven! I was hoping to get a jump on what the verse will be so I can make my “Bible Verse Mazes”, but I’m sure it won’t be available until October, correct? Thank you for all you do! Could you share your bible verse mazes? 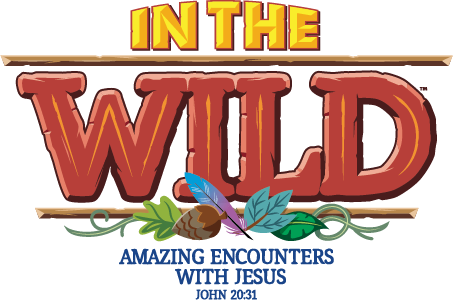 Is “In the Wild” VBS 2018 theme set in a safari location or just in a wilderness area? I’m just thinking ahead about decorations for the stage as well as the fellowship hall. Thank you in advance for answering. Looking forward to VBS 2019!!! It is not a safari. Check out the names for all of the rotation sites, Bible study, and Worship Rally. You’ll see some are in the rain forest, some in the swamp, some grasslands, some mountains (like the Rocky Mountains of North America), some Arctic … it’s all over! With this theme will go looking for animals in the wild, wherever they may be, and take pictures of them in their natural habitats. Is there a Drama Skit with this program? Yes! There are skits for an Opening Worship Rally and a Closing Worship Rally each day. We also offer a full-blown children’s musical that uses the VBS songs and a small cast of speaking parts. How are the media files going to be distributed this year. We are finding that the newer lap tops no longer have the CD/DVD drive capability. The resource CD/DVD has items that run off a DVD player and also a CD player ( power point vs video) we had some issues this year because most laptops do not have the capacity to use a Disc. Yes, we’re seeing more and more of that too. In fact, we use external disc drives that plug into our computers via USB because non of our computers have disc drives either! Some VBS resources are already available as digital downloads—-such as our music and video bundles. But starting with VBS 2019, anything that has a disc will also have a unique code that you can enter and download that content from an online cloud. You’ll still need to buy the book/pack/etc. to get the code, but you won’t be up a creek if your computer doesn’t have a disc reader. I hope that’s good news! Thanks for all this feedback! Sooo excited! Where do we find more information about the drama skit? Is it going to be a script that we perform live or a video? And what would need to purchase?